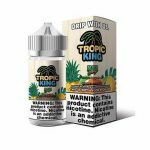 Tropic King E-Juice is brought to you by DripMore and these tropical flavor extravaganzas will quickly become your favorite vape juices. 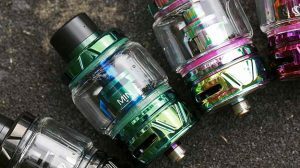 With every puff you take of these mouth-watering vape juices, you will feel as if you’ve booked a one-way ticket to your lifelong dream vacay destination, without having to do anything. Take your taste buds on the trip of their life with Tropic King vape juice and you will never regret it. Tropic King Mad Melon is a mixture of juicy honeydew, succulent watermelon, and delicious cantaloupe that will drive you crazy with every puff you take. 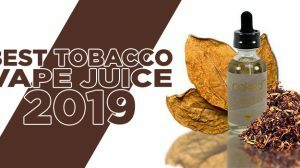 This vape juice is as refreshing as can be and you will feel ready for whatever may come your way with every puff you take! As you inhale Tropic King Mad Melon, the taste of juicy honeydew will flood your taste buds in the best possible way. Then, the taste of succulent watermelon will combine with the honeydew flavor to create something out of a fairytale. 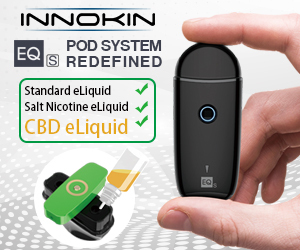 As you exhale, the taste of cantaloupe brings together the flavors and creates something that you will fall in love with. Tropic King Lychee Lava is the tantalizing fusion of pears, peaches, and lychee that will cause your taste buds to go crazy with just one puff. Tropic King has really outdone themselves with this one as the flavor is so intense you will never want to stop vaping it. As you inhale Tropic King Lychee Lava, the taste of juicy pears will hit your taste buds like a tsunami. Then, the taste of sweet as can be peaches combine with the juicy peaches. As you exhale, the lychee flavor brings this world stopping vape juice into a full circle and will cause you to become addicted. This flavor is truly out of this world. Tropic King Berry Breeze takes the taste of everyone’s favorite berries and turns them into a vape juice that you will forever reach for. This vape juice takes the taste of blackberries that have just the right amount of tartness, blueberries that are as tasty as can be, black currants that will make your mouth water, and raspberries that will change your life and turn them into a vape juice that will cause chills to run up your spine. As you inhale Tropic King Berry Breeze, the taste of blackberries and blueberries combine across your taste buds in the most delicious way. As you exhale, the taste of black currants and raspberries fuse together with the blackberries and blueberries to create a flavor as you’ve never tasted before. Tropic King Maui Mango takes the taste of tangy pineapple, citrusy oranges, and juicy mango that taste so authentic that your taste buds will never tire of this amazing flavor. 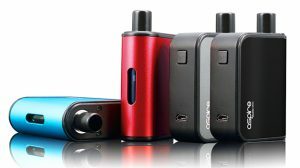 With just one puff you will be completely addicted. As you inhale Tropic King Maui Mango, the taste of tangy pineapple will cause your lips to pucker. Then, the taste of citrusy oranges will combine with the pineapple to create a flavor that is as tangy as it is refreshing. As you exhale, the sweetness from the mango will soothe your taste buds and leave you prepared for your next puff time and time again. Tropic King is a tropical fruit line from the famed vape brand DripMore that is sure to rock your socks off. 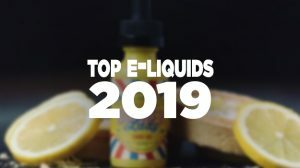 DripMore vape juice brand brings you the delicious tropical flavors that you crave, with such intense flavors that you will never tire of them. With each and every one of Tropic King vape juice, you will find a new reason to fall in love with them as they all have a little something that makes them one of the best juice you’ll ever try. These tropical flavors will transport you to your dream tropical vacation with every puff you take.